The order process – How can we help? When do I need to approve my book to be delivered on time? 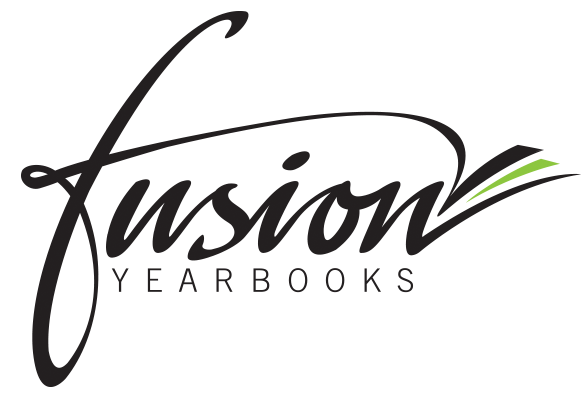 What is Fusion Yearbooks' billing address? Can I change my number of yearbooks throughout the year? Can I get a copy of a quote sent to my accounts and how? Ready to place your order? Here's how! Ordering your yearbooks is all about confirming important details and checking PDF proofs. At the moment, Fusion only supports 1 order per project. So take your time, check everything very carefully and try not to forget anyone! Click on Order to start with the process. If needed, hover over the question marks to know more about the available options. Once you're ok with everything, click on Save to proceed to the next step. This is where you have to confirm your delivery date, billing contact details and delivery details. Click on Save Project Information once done to proceed to the next step. This step is one of the most important parts of the Ordering process, because the print-ready PDF is the final file we send to print. Click on Create a Print Ready PDF and wait until the file is available for you to download. Once done, click on the Download buttons. Your PDF will automatically open in a different tab or window so that you can save it on your computer. Once a proof has been generated, two checkboxes will appear. Check your PDF proof and tick the one that applies to you. If you're good to go with your yearbook, tick this checkbox. More checkboxes will appear with a list of important things to check on your PDF before sending it to print. To make sure everything is perfect, read our Ultimate Guide to Proofing your Yearbook. Once done, tick all the boxes before clicking on Complete Design to proceed to the final step. Remember, at this stage, if you wish to change anything, you can go back to the Create page to edit your pages again. If you see any errors or discrepancies between your online book and the PDF proof, our team will be happy to help you with these. Tick this box and enter your touch-up requests as detailed as possible and then click on Request PDF touch-up to proceed to the last step. Once our design team has fixed your PDF you will receive an email to log back in to download, check and approve this amended final PDF. Now, all that's left is to confirm your order. Here, in Step 4, is your last chance to review your order details before hitting that Submit Order button so make sure everything is correct. You'll be able to follow the status of your order. For that, you may visit your Manage page and click on Project Info. A minimum of 10 copies (which is our minimum order). We'll need to adjust the pricing to the quantity. Example: it's not possible to apply the same unit price for 10 and 500 copies of the same book. To order additional copies, click on Submit a ticket in the Help Center and select the Order category. Then, type your initial order number and add your new order request so our sales team can contact you with a quote. You've clicked on the order page but you can't access it? It's probably because you are still on a trial account. Orders are only possible when your full account has been enabled. To enable your full account, click on upgrade at the top left of your screen and follow the steps.